Do you still recite, "New year, new look, new Paige" at the beginning of every year? Do you still call Drake "Jimmy"? Do you love reliving the glory days of the most dysfunctional school in Canada? 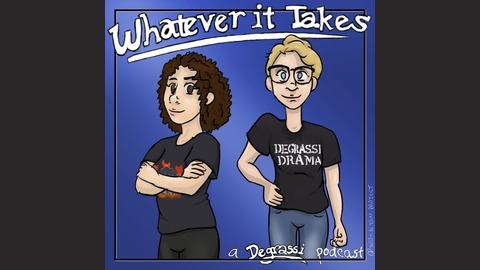 Holland Baker and Kelsey Pillischer take on the task of watching every single episode of Degrassi: The Next Generation and gab, analyze, critique and just plain enjoy the show that truly goes there. 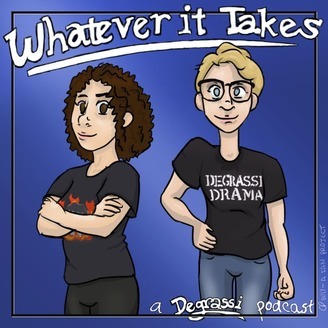 Holland and Kelsey discuss the Season 13 finale “Thunderstruck.” There’s a thunderstorm and it’s bringing so many new ships together (including our new OTP), and Clare gets some bananas news to give us a classic Degrassi cliffhanger.